Virginia Glass House provided the glass replacement at a Penthouse in Ocean View. We replaced all the Sliding Glass Doors and multiple windows throughout the condo with fogged Insulated Glass. These were some of the worst fogged units we've seen, obstructing one of the Prettiest Views Norfolk has to offer. 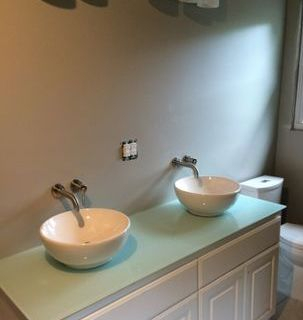 Above is a Project our valued customer, Pasha was completing. 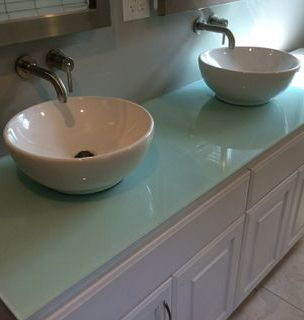 Virginia Glass House manufactured a 3/8" Clear Tempered Vanity Top with Holes and Polished Edges. 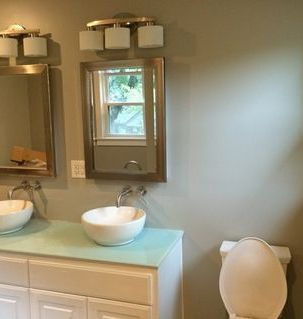 She did a Beautiful Job with incorporating Glass in a new way. 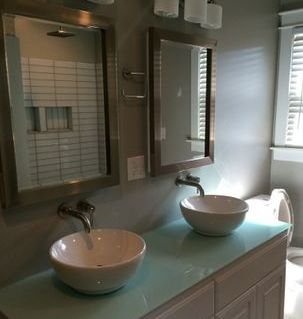 The Glass Vanity / Counter Tops is becoming a very popular trend on the East Coast. Awesome Job, Pasha! 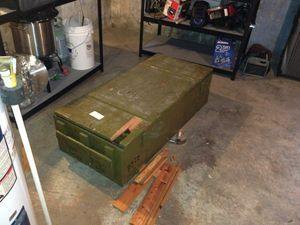 A Before (top) and After (Right) Picture of a Vintage Army Crate transformed into a Classic Rifle Display Coffee Table, featuring a hinged Glass Top. 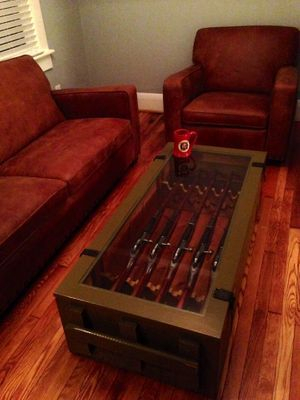 Totally Designed by a customer, Virginia Glass House helped make this very unique Table Top. 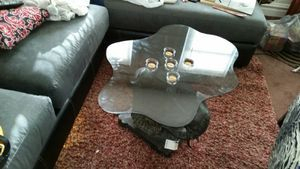 Hand Cut out of 1/4" Gray Annealed Glass, with a Polished Edge, the Table has 5 holes cut in the middle of the table to allow Tea Candles to set within. 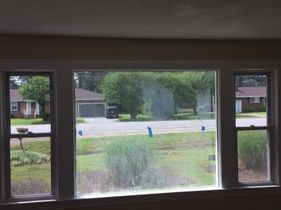 A Very Large Fogged Picture Window (left) made with 1/4" Clear Plate Glass was replaced with a New Insulated Glass Unit (right) made with High Strength Safety Glass to ensure safety and improved visibility and efficiency. 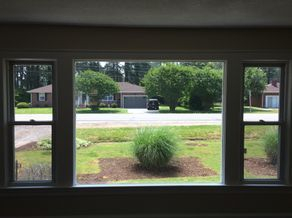 Virginia Glass House helped with replacing all the fogged windows at this house in Chesapeake, VA. This was one of the worst Fogged Windows we have yet to see. 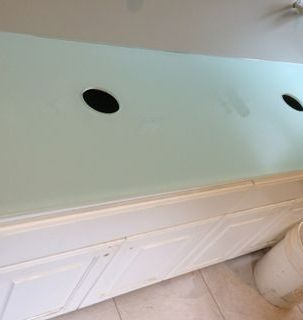 To help a Valued Customer in Virginia Beach with their home improvement project, we replaced the fogged glass with a Virginia Glass House Tempered Insulated Glass Unit which comes with a warranty to ensure the customer that this will not happen again.